Health care was supposed to be the number one issue for Canadians coming into the Federal election. Within days, all the parties had committed to some level of renewal of the Health Accord, set to expire in 2014. Under that accord provinces have been receiving a so-called “escalator” that automatically increases Federal transfers to the provinces for health care by six per cent per year. By the last year of the accord that transfer should amount to about $30 billion. This was part of what officials once called an agreement to fix health care for a generation. Given the concerns that Canadians have been expressing during the election, they haven’t exactly met that expectation. The Federal party platforms vary considerably, from the 98-page Liberal Red Book, to the 66-page Conservative “Here For Canada” platform, to the 12-page Green Party Platform. While the NDP features a brief point-form platform on their web site, there is no book. In his opening message to the Conservative platform, Stephen Harper doesn’t actually use the word health, although one of the top five priorities, to support families, includes a promise of more support for seniors and caregivers. That reference is to a $2,000 Family Caregiver Tax Credit for those who care for “infirm loved ones at home.” The tax credit would apply to those caring for an infirm spouse, common-law partner, and children of minority age. The Conservatives have said they will work collaboratively with the provinces and territories to renew the Health Accord and to continue reducing wait times. A separate agreement would be negotiated with Quebec. Carrie said the government is working on programs to keep Canadians well, including doubling the children’s fitness tax credit to $1,000 and establishing an adult fitness tax credit of $500. Neither would be implemented until the federal budget is balanced — according to their plan, that would be 2014-15. Many in the media have questioned how the Harper government could reduce taxes and escalate health care spending faster than growth in the economy. Prior to the election call, MP Maxime Bernier had suggested in 2010 the Federal government get out of health care and transfer tax points to the provinces instead. A tax point transfer effectively means the Federal government would reduce taxes to the equivalent of what the provinces need to raise them by, leaving the tax rate the same for individuals. There are several obvious risks to this. The provinces could use the tax points to implement their own tax cuts. We would lose any semblance of consistent health care delivery across Canada. The Federal government would lose any leverage by which to enforce the Canada Health Act, allowing provinces to further privatize and delist services. Charges for hospital services and extra billing would be allowed to thrive. Bernier claimed it would allow the provinces to experiment more with different delivery models. The Canada Health Transfer is expected to hit $30 billion by 2013. At the time the PMs office said Bernier was not speaking for the government. Ujjal Dosinjh, the former Liberal Minister of Health, told CBC radio the Tories pushed the health accord into the Senate “to wash their hands of responsibility.” He raised Bernier’s comments and said the Harper government had a “shrinking view” of the Federal role in health care. Megan Leslie, an NDP candidate from Halifax, said the PM had started no conversations with the provinces on the next health accord. Unlike the Prime Minister, Liberal leader Michael Ignatieff places considerable emphasis on health care in his opening message. Stating the Liberal platform is about equal opportunity, he says Liberal governments have built up the foundations of equality, including establishing universal Medicare. The Liberals have one of the more developed health care platforms among the four major parties. Ignatieff has also promised a Federal-Provincial summit on health care with the Premiers within 60 days of taking office. The Liberals have pointed out that the Harper government has never convened a first minister’s meeting on health care. While much attention has been spent on their pledge to renew the Health Accord and provide $1 billion for home care, less attention has been paid to their promise to scrap the Harper government’s Public Private Partnership Fund, which the Liberals claim has only delivered 8 per cent of the funds allocated to it. The Liberals would instead use the money for public housing. P3s have been a feature of much of the recent debate over the Provincial Liberal plans to build new hospitals in Ontario. The Family Care Plan is similar to the Tory plan – instead of providing funding for professionally-delivered home care services, the money is aimed at supporting families to provide care themselves. One half of the Liberal plan would include an extension of the six-week EI benefit for those who have to take time off of work to care for a “gravely ill” family member. To be eligible, the family member must be “gravely ill with a significant risk of death within 26 weeks.” The Liberals would thereby extend the current six week period to six months (26 weeks). A new Family Care Tax Benefit would assist low and middle-income family caregivers who provide “essential care” to a family member at home up to a year. The maximum is relatively modest at $1,350 per year. The Liberals estimate 600,000 family caregivers could take advantage of the benefit at a cost of $750 million per year. Using athletes as role models, the Liberals would commit to stable and sustained funding for “Own The Podium” and Sport Canada. The Liberals also commit to a Canadian Brain Health Strategy to assist Canadians coping with diseases such as Alzheimer’s, Multiple Sclerosis, and Parkinson’s Disease. The strategy includes public education on prevention, $100 million over two years for research, a sharing of best practices, and a more vague promise to look into potential economic supports for families coping with brain disorders and legislation to prevent discrimination against people showing symptoms. The Liberals say they will work with the provinces to ensure all Canadians have coverage for catastrophic drug costs for illnesses such as cancer, diabetes, or arthritis. The Red Book also makes several vague promises to work with the provinces and territories to bolster innovation in the health and bioscience field, improve rural health care, bring down prescription drug costs, improve home care, and address priority areas such as mental health and palliative care. During a CBC-radio three-party panel on health care, former Liberal Health Minister Ujjal Dosanjh identified new technology and drugs as the largest drivers of health care costs, but said it was something a Liberal government could handle. The NDP say they will work with the provinces to promote a clear commitment to the single-payer system, make progress on primary care, take steps to replace “fee-for-service” delivery, and take the first steps to reduce the cost of prescription drugs. The centerpiece of the NDP platform is a plan to work with the provinces to increase the number of doctors, nurses and other health professionals, although the document only sets specific targets for the doctors (1,200 over the next 10 years) and nurses (6,000 new training spaces over six years). To put this modest promise in perspective, 120 new doctors per year would be added to the already existing 65,000 doctors in Canada — an increase of about 1.8 per cent over a decade. 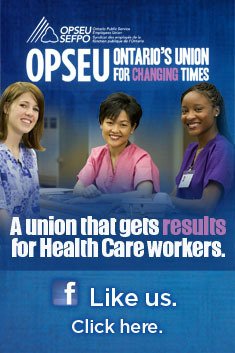 Likewise, there are about a quarter of a million nurses, of which the NDP would add an averge of 1,000 per year. While the NDP are pledging $165 million to create these new training spaces for doctors and nurses, they are also promising to increase the number of doctors and nurses (no mention of other health professionals) as a priority within the first 100 days. Jack Layton said “we can’t wait three more years for the government to hire doctors and nurses for families who need them now.” Given the length of time it takes to become a doctor or a nurse, the training spots are not going to fulfill this promise. No detail is in the NDP platform on how many or where this immediate supply of doctors and nurses will come from. The NDP would also establish programs aimed at recruiting and supporting low-income, rural and aboriginal medical students. Unlike the Tories and Liberals, the NDP would designate funding to guarantee a basic level of home care services. They would also include a federal transfer to increase long term care “spaces” and double funding for forgivable loans under the Home Adaption for Seniors’ Independence Program, a program intended to help seniors remain in their own homes. They would help up to 200,000 families a year to retrofit their homes to create self-contained secondary residences for senior family members. The “forgivable loan” would cover 50 per cent of the costs of a renovation up to a maximum of $35,000. The NDP’s promises on pharmaceuticals include improved assessment to ensure the quality, safety and health effectiveness of prescription drugs, savings through bulk purchasing, a more aggressive price review, and the elimination of kickbacks from drug companies to pharmacists. In the way of prevention, the NDP offer a Children’s Nutrition Initiative to expand provincial and local programs that provide healthy meals to school children. They would also introduce a National Strategy for Serious Injury Reduction in Amateur Sport Act – a plan to reduce concussions through a variety of strategies. Elizabeth May says the Green are not a one-issue party. Their 130-page “Vision Green” document is the most comprehensive of the four parties. However, there is very little in their posted 12-page election platform specific to health care. Her platform introduction makes a reference to living in healthy communities and enjoying a life-giving, healthy natural world, but nothing specific to improving health care delivery or prevention. Vision Green, on the other hand, makes a strong commitment to upholding the Canada Health Act, including measuring the extent of two-tier health care in Canada and striving for its elimination. It advocates not only the education and hiring of more medical staff, but also re-opening many of the beds that have been closed, better utilizing operating rooms, and purchasing new diagnostic equipment. Unfortunately, while they do talk about needing more health professionals in their preamble, the platform only talks about providing funds to train more doctors and nurses. They call for the fast-tracking and on-the-job mentoring of foreign trained health care professionals. The Greens call for forgiveness of student loans for graduating doctors, nurses, paramedics, and other health professionals who agree to staff rural facilities and family practice clinics where recruitment is currently a problem. The Greens also call for expansion of public coverage to proven alternative therapies such as chiropractic, massage and acupuncture. Their health plan also includes a national pharmacare program, accepting the principle that Canadians should spend no more than three per cent of total after tax earnings on necessary prescribed medications. Like the NDP, they would put emphasis on the effectiveness of drugs covered under the formulary. Vision Green plans to expand home support, home care programs and assisted living services. At a time when seniors are being threatened with illegal hospital charges if they don’t take the first available long term care bed, the Green’s promise to enshrine a policy that seniors’ care must be provided in the communities where they or their families live. The Greens would also transfer more money to the provinces to open more long term care beds. The Greens have an extensive prevention platform, including $500 million over five years to aggressively address inactivity and youth obesity. For mental health, the Greens would transfer funding for non-institutionalized mental health agencies. While Vision Green sounds great, the budget numbers put forward in the other document – the election platform – certain does not include the wide sweep of Vision Green. The budget does include $300 million a year for national pharmacare and $43 million for a national campaign to discourage marijuana use after the Greens legalize and tax it. Canadians spend about $25 billion per year on pharmaceuticals, which leaves the Green’s $300 million rather limited in its ability to provide universal coverage. This entry was posted in Health System and tagged beds, Conservative, drugs, Election 2011, Green, health care, hospitals, Liberal, NDP, platforms, promises, seniors. Bookmark the permalink. It doesn’t matter what party is in power or how much they attempt to help with health care there are always going to be issues with it and people are always going to complain about it. I personally only want one thing from our health care and that is to cover basic dentistry like basic cleaning every 6 months.